In a CBS Sunday Morning segment a while back, there was a piece on Cary Grant where Director and Film Historian Peter Bogdanovich told a story about how Grant and some friends went to a show one evening. Grant forgot his ticket and said to the ticket taker, “Excuse me, I forgot my ticket, I’m Cary Grant, is it okay if I go in?” The ticket taker took a good look at Grant and replied, “You are not Cary Grant!” This leads me to what is the most obvious problem with Howard Hawks 1964 comedy, “Man’s Favorite Sport?” starring Rock Hudson and Paula Prentiss, which is, it needs Cary Grant, instead we get Rock Hudson, and Rock Hudson, with all due respect, is not Cary Grant. Then again, who is? Howard Hawk’s was one of the masters of screwball comedy. Back in its heyday of the 1930’s and 1940’s Hawks made some of the best in this sub-genre with films like “Twentieth Century,” “Bringing up Baby,” “His Girl Friday” and “I Was a Male War Bride.” Three of these four films happened to have starred Cary Grant. Grant was romantic, suave, debonair, and yet he could take a pratfall just about as good as Chaplin or Keaton. He also had a way with a line of dialogue that made even average lines sharp as a switchblade. He would have been perfect to play the bumbling Roger Willoughby in what would turn out to be Hawks final comedy. Grant and Hawks almost came to an agreement to work on the film together however, before signing contracts Grant opted out to make “Charade” instead with Audrey Hepburn. Hawks chose to go with Rock Hudson as a replacement. Hudson was then one of the most popular stars of the early 1960’s, thanks to a series of romantic comedies (Pillow Talk, Lover Come Back and Send Me No Flowers) with sugary Doris Day. Hawks was attempting to recapture the spirit of the screwball comedy in “Man’s Favorite Sport?” a story about a salesman for Abercrombie and Fitch who is well respected as a leading expert on fishing; he has even written a bestselling manual on the art of fly fishing. Only problem is, Roger has never fished a day in his life! No problem until he finds himself forced by his boss (John McGiver) to enter a contest where the head of public relations for the contest, a forward but beautiful woman named Abigail Page (Paula Prentiss), suggests to Roger’s boss that his participation would be great publicity for the company. What follows is a battle of the sexes via a series of mostly humiliating soggy experiences for our hero at the hands of the more experience Abigail when she decides to help Roger learn to fish. The two characters are at odds from the opening shot when they are first seen driving through the streets of San Francisco, and Abigail, soon after, takes Roger’s parking spot at his place of work. Throughout the film, Abigail’s out spoken flighty behavior and plain talk irritates an already disgruntled Roger who finds her continuously annoying since everything she says or does leads to trouble for him. Despite their sometimes adversarial positions, Abigail can’t help falling for Roger, she continuously makes sly hints of her attraction to him which even a complete idiot would realize, but somehow Roger does not, at least not until the final minutes of the film. “Man’s Favorite Sport?” is not major Howard Hawks. It’s a bit too long and could have used some editing that would have made it all a bit tighter, however it remains lightly enjoyable and the script is adequately humorous. This makes the performances even more essential to its success or failure, and for me, this is where the two stars diverge. Prentiss raises the level of the film with her sparkling high energy, finely tuned performance, while Hudson seems to plod along like a lame horse limping across the finish line. 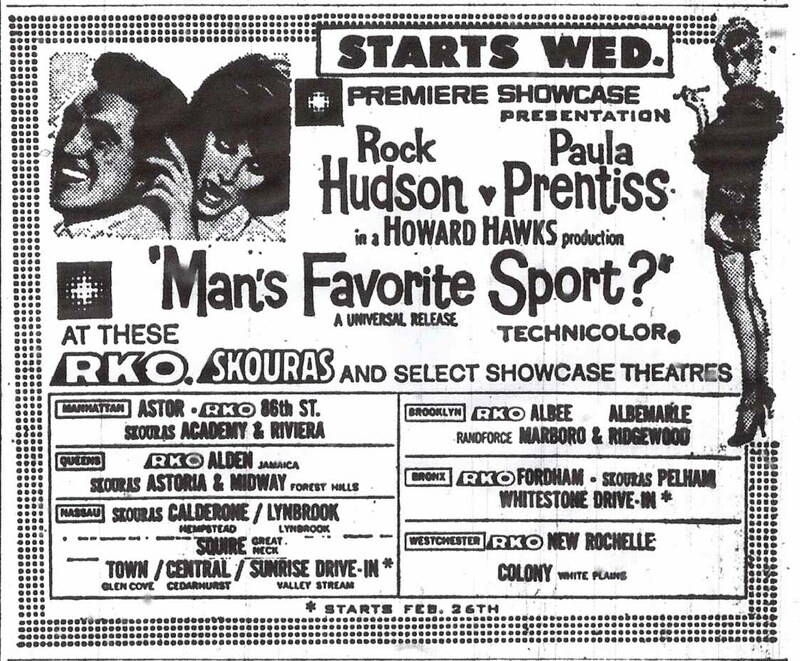 This entry was posted in 1960's, Film Reviews, Howard Hawks, Paula Prentiss, Rock Hudson and tagged Howard Hawks, John McGiver, Man's Favorite Sport?, Paula Prentiss, Rock Hudson. 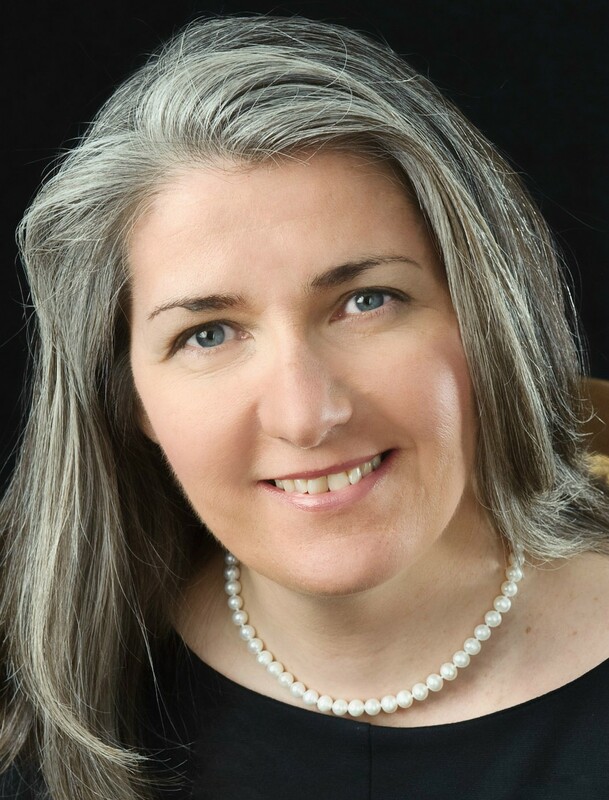 Dorian, – Thanks! Lemmon and Prentiss would have been a wonderful pairing. After seeing this film, I have to admit I had a bit of a crush on Prentiss. She also did THE WORLD OF HENRY ORIENT and WHAT’S NEW PUSSYCAT? around the same time (She actually may be the only person who made two films with question marks in their title!). I also remember a sit-com she did with her husband, Richard Benjamin, in the mid-sixties called, HE AND SHE. I think it only lasted one season. (Wish it would come out on DVD, curious to see how it holds up…or not). John, I bought the DVD of this a while ago, as it is one of the few Hawks movies I hadn’t seen, but haven’t got round to watching it yet – your review will now inspire me to do so in the next few days! You make it sound enjoyable even if not one of Hawks’ greatest. Judy – It is enjoyable as long as you do not expect a great film like HIS GIRL FRIDAY. Prentiss is charming and has a great sense of timing for comedy. Let me know what you think. Thanks again!!! I’ve never seen MAN’S FAVORITE SPORT? because, for some reason, I always confuse it with BOYS’ NIGHT OUT and think I have already seen it and don’t like it much. But this is an outstanding review and your reflection on what Cary Grant might have brought to the picture brings to mind Robert Osborne’s remark when introducing TO CATCH A THIEF, saying it had “one of the best assets a film could have…Cary Grant.” Grant is celebrated as a movie star and icon, perhaps he’s the ultimate in that regard, but his actual talent is underrated. Eve, I find Cary Grant more and more amazing with every film I see him in. I always liked him but his abilities as an actor just become more evident with every viewing. He is not just a bundle of charm and good looks, he is much more. 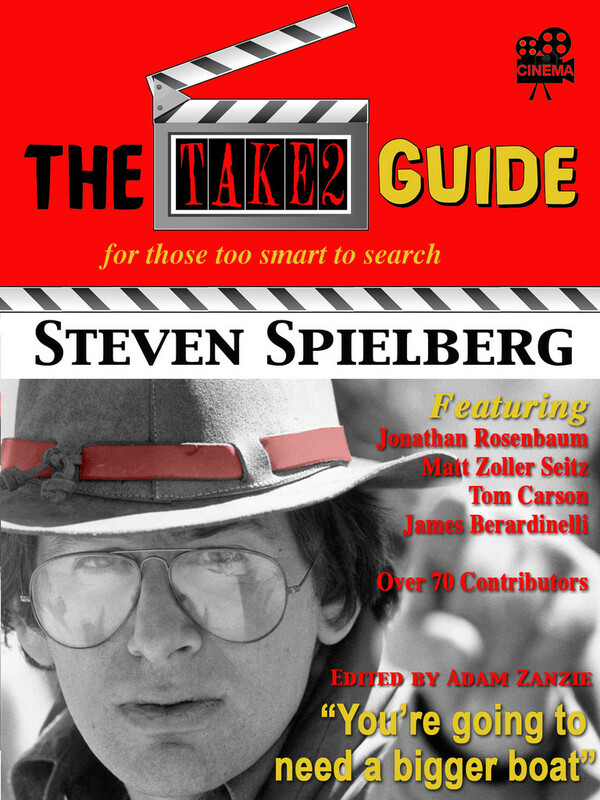 He makes any film he is in watchable and improves many beyond what they really are. That is what I believe he would have done here, made this a better film through talent and personality. I’ve now seen this movie and enjoyed it quite a bit, though it isn’t as good as some of Hawks’ earlier comedies – must say I really liked Rock Hudson in it, even though I must agree it is evident that the part was intended for Cary Grant. Anyway I think Hudson is very good in the fishing scenes in particular, and he and Prentiss work well together. The film does feel a bit like a remake of ‘Bringing Up Baby’ at times, especially with the recycling of the torn dress gag – Hawks did love to re-use material! Interesting that you found the film a bit long, John… I just looked it up in the Howard Hawks biography and saw that it was originally even longer and had around 20 minutes cut out by the studio. Apparently Hawks complained a lot about the cuts, but I must agree with you that it already feels quite long for a romantic comedy, so it may be just as well that some footage was axed. Good point about the recyling of the torn dress gag from BRINGING UP BABY. Well, I guess we have to agree to disagree on Hudson. Glad you liked Prentiss. I thought she was terrific and only wished she had been used more in other films. The films run a full two hours and I just felt it could have used a bit of cutting here and there. I read the Hawks bio a few years ago but did not remember a battle for an extra 20 minutes. Now that would have been long! Thanks for coming back with this! I liked this movie…Rock Hudson was good, but.. I agree Jack Lemmon may have been the better choice. 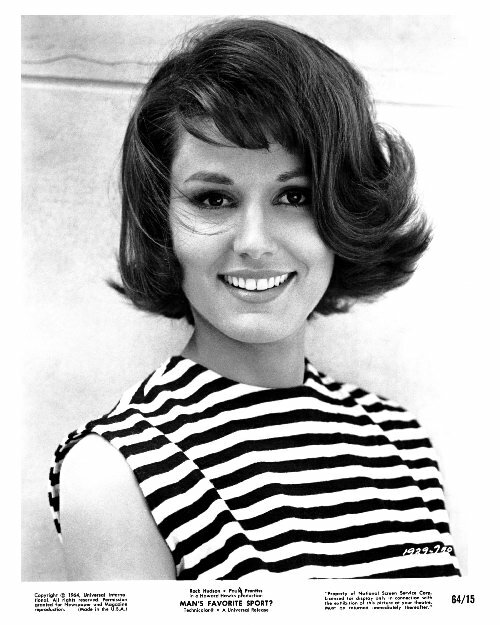 Paula Prentiss, also gave an incredibly funny, performances in the film , The Out of Towners. Also, with Jack Lemmon. Dawn, – A correction here, Paula Prentiss was not in THE OUT OF TOWNERS. Lemmon’s co-star was Sandy Dennis. Paula’s sister Ann Prentiss had a small role though in the film. Oh my gosh.. I did not know Paula Prentiss had a sister.. Ann. Color me shocked!! I have to say…I love this film. I’ve watched it many times and never get tired of it, and laugh as much if not more, each time. Yes, I know it’s not one of Hawk’s best films, nor one of Rock’s or Paula’s. I worked for 20 years in a video rental store here in Canada and wished we had a copy for rent as I know many people that would have appreciated its humour and wonderful 60’s feel. It had me right from the opening montage and catchy Mancini tune. Yes it does run longer than similar comedies of the time and some scenes could have been cut, shortened or redone, especially the section from when they leave Abercrombie and Fitch, (which I have to say, as a wannabe outdoors and fisherman, I loved to see them use especially at that time when it was an outdoors store and not a trendy clothier as today), up until Roger arrives at Lake Wakapoogee. I think Rock was a great choice and carried off his Willoughby character delightfully. By this time I think Cary Grant was too old to be convincing in the role, as evidenced when he did Charade and had it changed so Hepburn’s character pursued him and not vice versa. I think what makes Rock’s portrayal of Roger so great is his light tone of innocence and naivety towards the outdoors and fishing. It would have been interesting to see Jack Lemmon’s take on Willoughby, though I think it might have come across with a bit more of an acerbic tone, (which he did wonderfully in the Out Of Towners, conversely I couldn’t see Rock Hudson doing that role). I also think what really adds to this film are the wonderful supporting characters and the choice of actors to play them. I’ve always loved movies from 60’s era and think Man’s favourite Sport? captures much of that decades feel. In fact, I’m watching it right now as I write this…and now, I think I’ll go fishing. Perhaps you or someone else might know a couple of things I’ve been trying to find out , what is make of the yellow car that Abigail drives in the beginning and where are the outdoor lake Wakapoogee scenes shot?…Thanks! 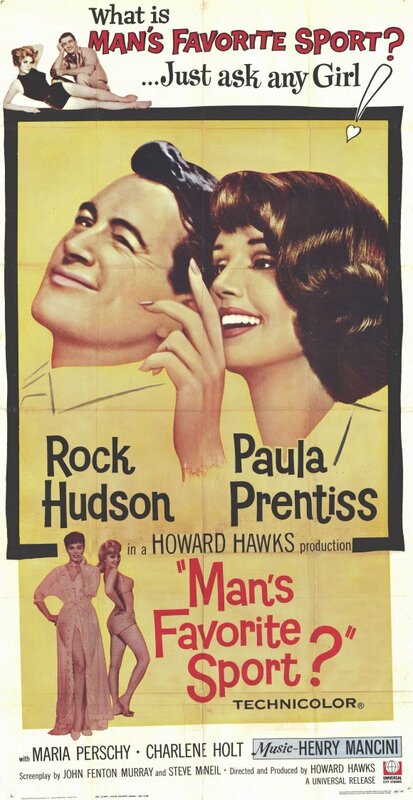 I have always enjoyed this film though admittedly I am not a fan of Rock Hudson. As I mention Hudson seemed to lack a comedic timing, I always found him to be not much of a comedic actor.Paula Prentiss however, is a joy, I only wish she made more films in her career. The supporting cast, as you mention, do add a lot to the film, specifically Roscoe Karns and John McGiver. I am not sure what the type car Abigal drove but on your second question almost the entire film was shot on the Univeral backlot except for th opening San Francisco street scene. Even with that, once they reached the parking lot (with the yellow car) they were on the backlot. The Lake scenes were mostly, if not all artifical, again on the Universal backlot. That was one of the complaints from many of the critics when the film was originally released. If there was a shot of a real lake shot somewhere else, I am unware. Glad to have you on board! I never made the connection with Christmas in Connecticut (a good film) but that is a good point. As for Hudson, except for his performance in SECONDS, I never thought much of his acting. Here, I just felt it cried out for Cary Grant.